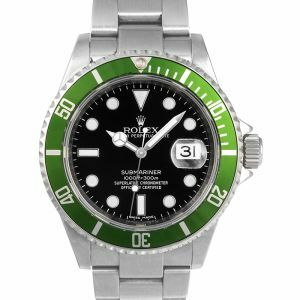 The iconic Rolex Submariner’s collection was designed for diving, notably known for their resistance to water and corrosion. 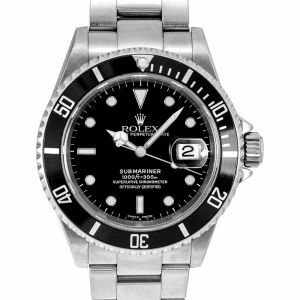 This timepiece is part of the Oyster Perpetual line featuring a slightly redesigned Oyster case, unique dial with large hour markers, and rotable Cerachrom bezel along with a solid link Oyster bracelet. 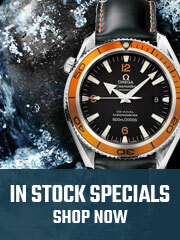 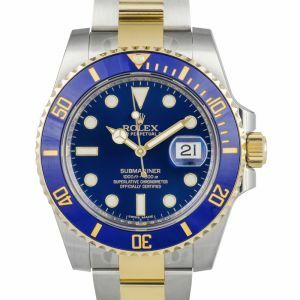 The Rolex Submariner is definitely one of Rolex's most popular and recognized watches they've released. 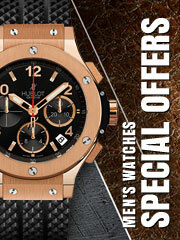 This watch had some amazing breakthroughs. 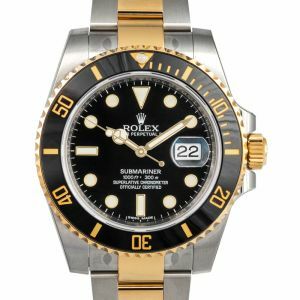 The Rolex Submariner made its debut in 1953 and was the first to be waterproof up to 100 meters (330ft). 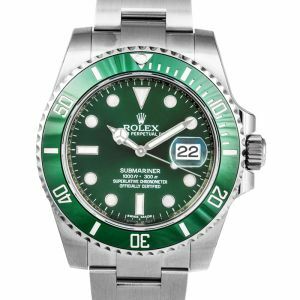 Catering to the needs of a diver, the dial is luminescent and the hour markers are simply shaped so that it's easier to see.